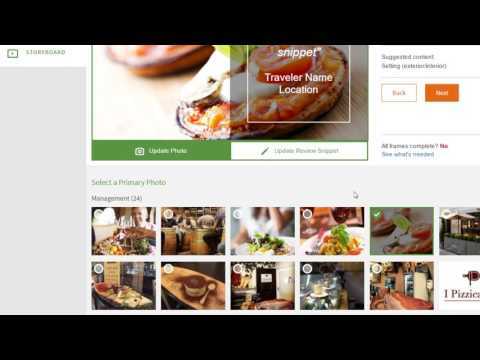 The new TripAdvisor seeks to transform travel by becoming the one place online that allows consumers to effortlessly discover, save and share great recommendations when planning a trip. TripAdvisor has announced that Lindsay Nelson will join the company as president of its Core Experience business unit, effective October 30th. TripAdvisor has welcomed the result of a legal ruling in Italy which saw a persistent online review fraudster sentenced to jail. In one of the first legal cases of its kind, the criminal court of Lecce ruled that writing fake reviews using a false identity is criminal conduct. TripAdvisor has acquired Bokun, a leading provider of business management technology for the tours, attractions and experiences industry. Japan Airlines and TripAdvisor have announced a strategic partnership supporting the country’s efforts to better capture and disperse inbound tourism across Japan. Babbel and TripAdvisor have joined forces to inspire travellers, and get them ready for their next city trip. For this joint campaign, the companies have combined their expertise and built an interactive city-trip themed campaign website. TripAdvisor has announced the results of its 2017 Hotel Pricing Report, revealing UK hotel room rates will be significantly cheaper in 2017 compared to 2016. TripAdvisor is among the first US travel companies to receive a license from the United States treasury department’s office of foreign assets control to provide and sell travel-related services to travellers from around the world booking trips to Cuba. The license permits TripAdvisor to promote educational and cultural engagement between global travellers and the Cuban people.